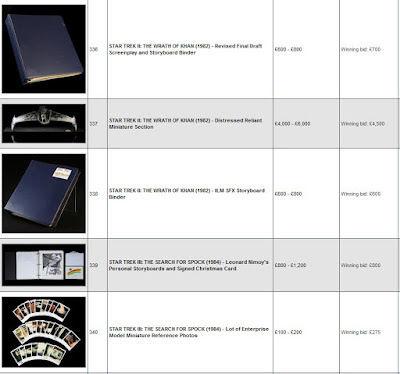 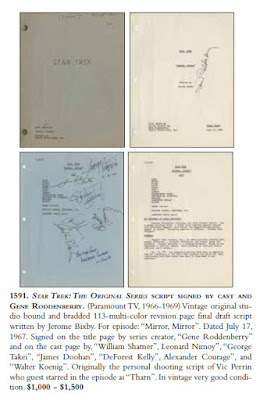 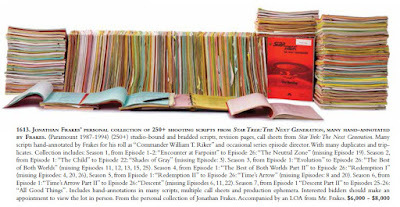 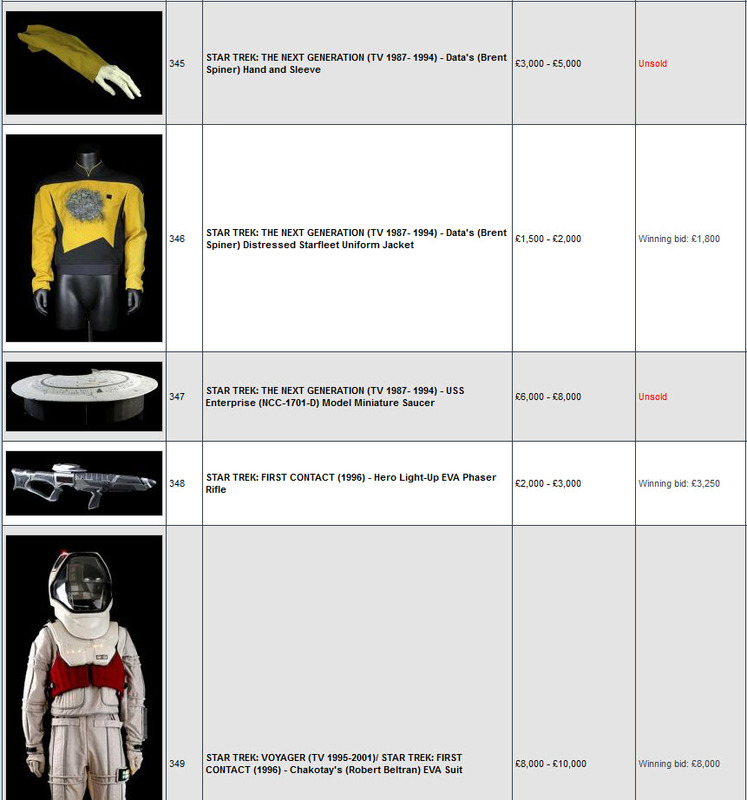 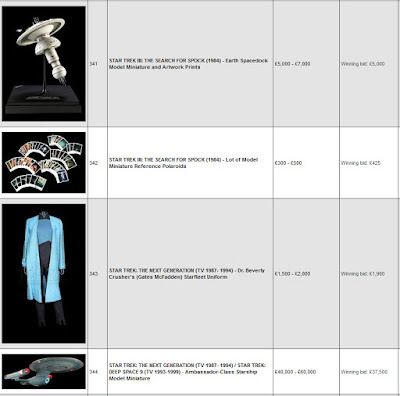 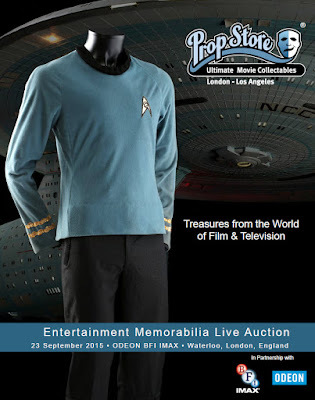 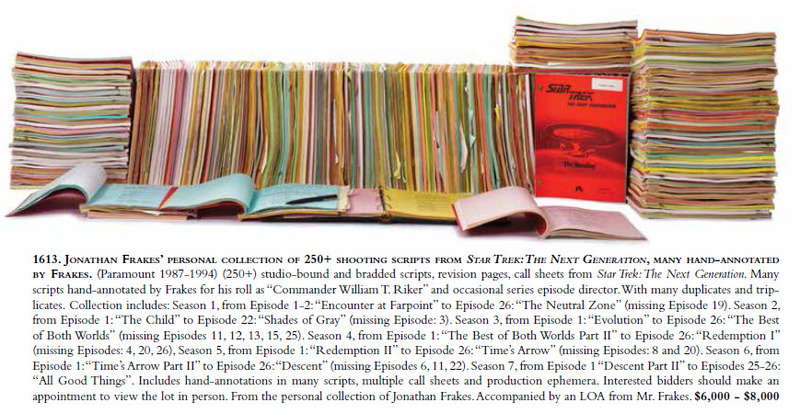 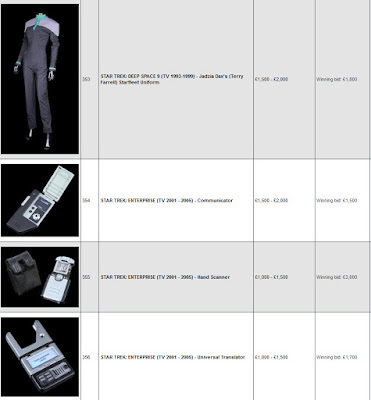 Presented below is the complete set of final prices realized for the 30 lots of Star Trek memorabilia that were offered in the Prop Store of London's Live Auction of "Treasures from the World of Film & Television"; which concluded earlier this afternoon at the ODEON BFI IMAX theatres in Waterloo, London, England. 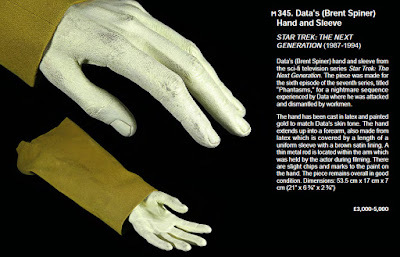 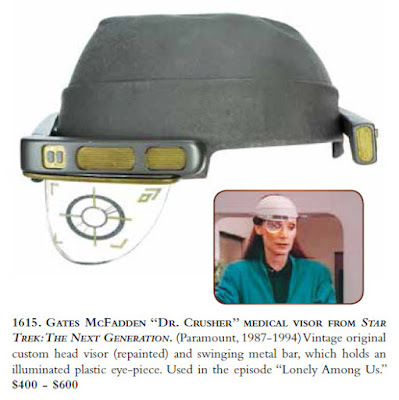 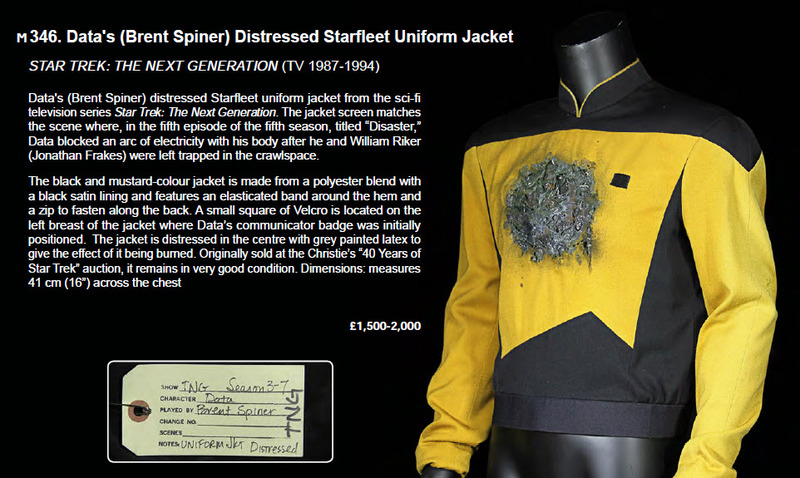 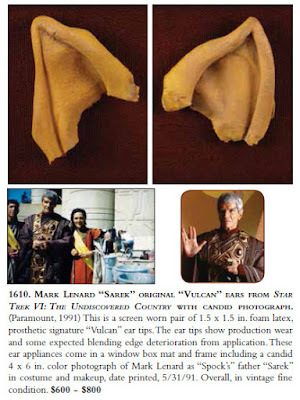 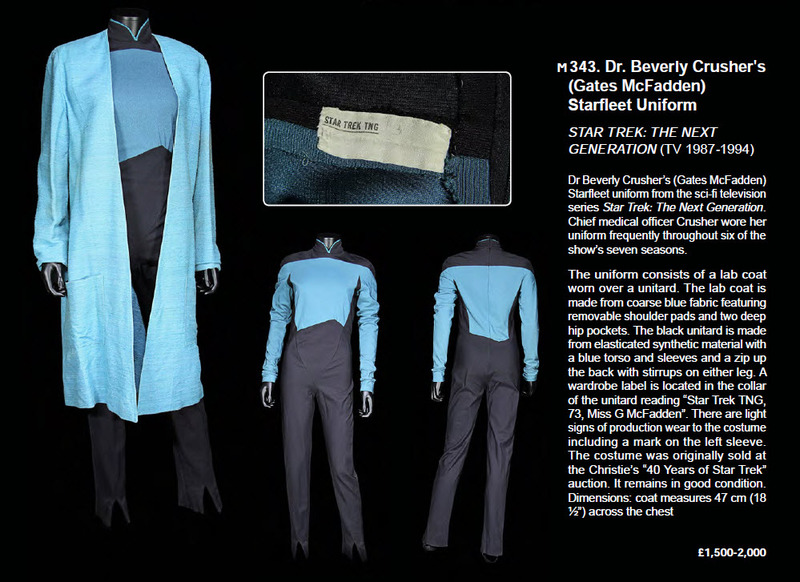 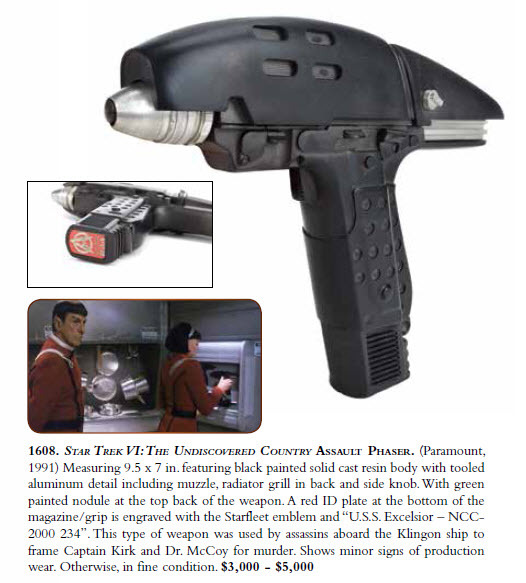 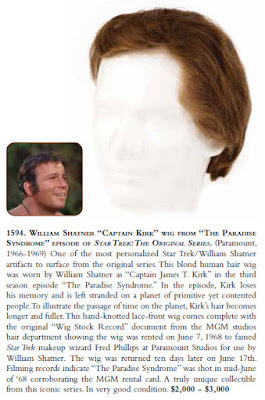 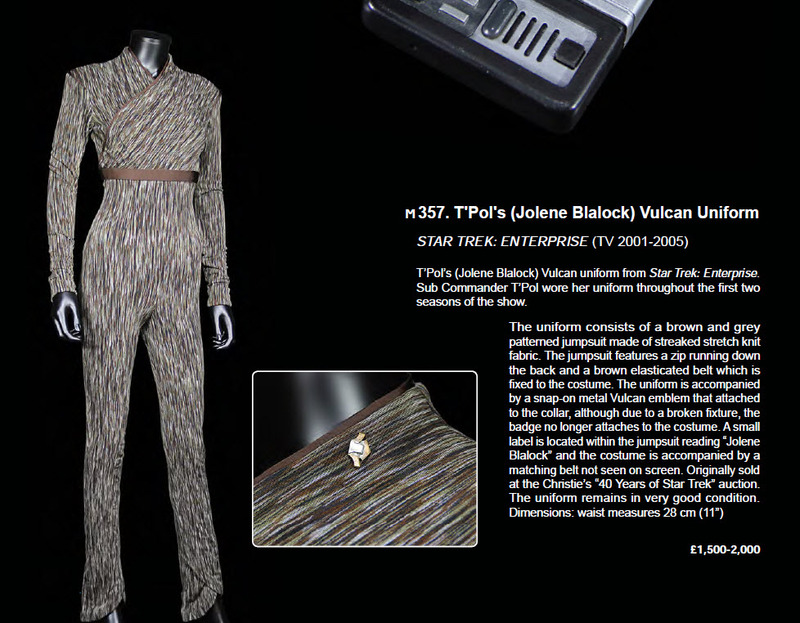 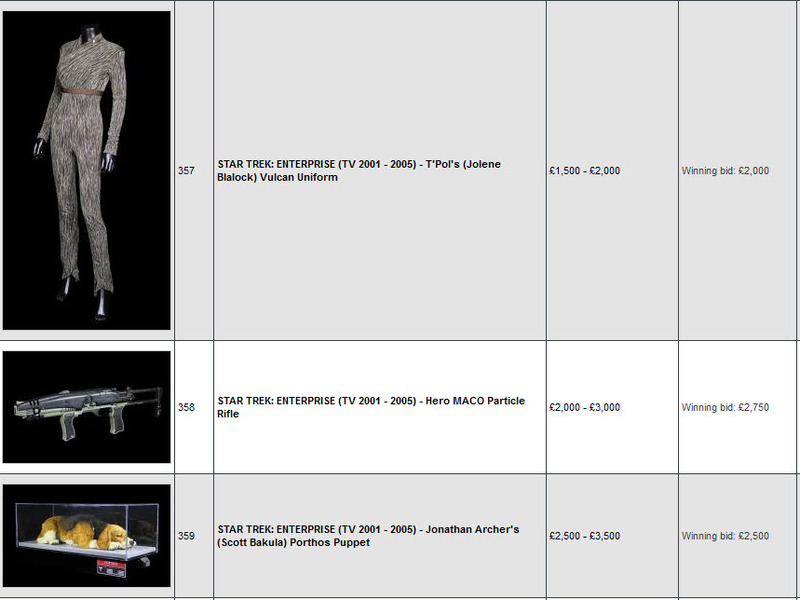 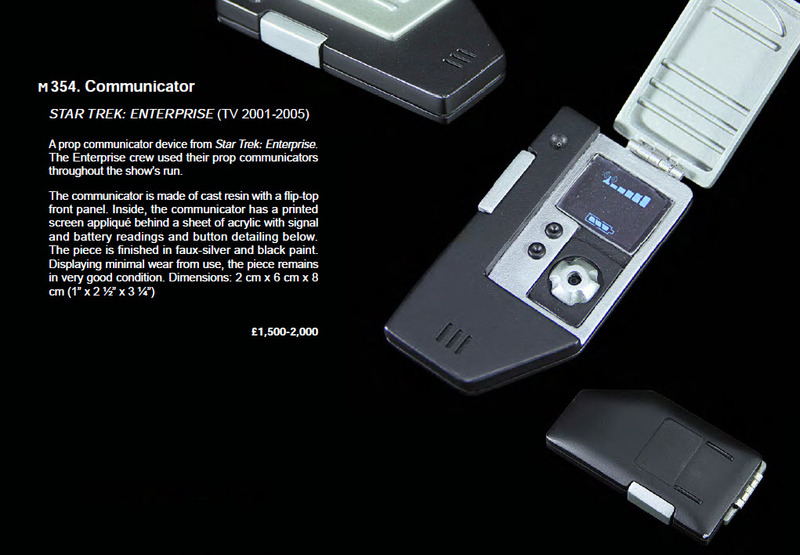 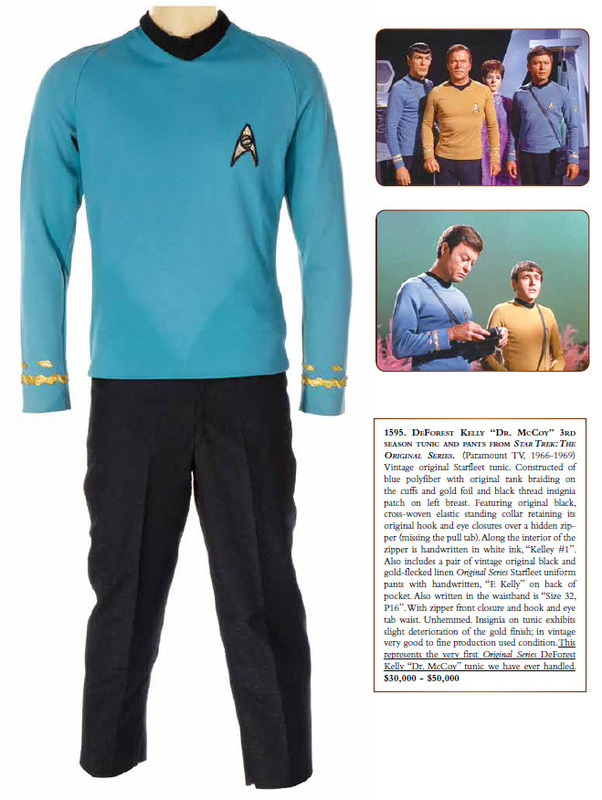 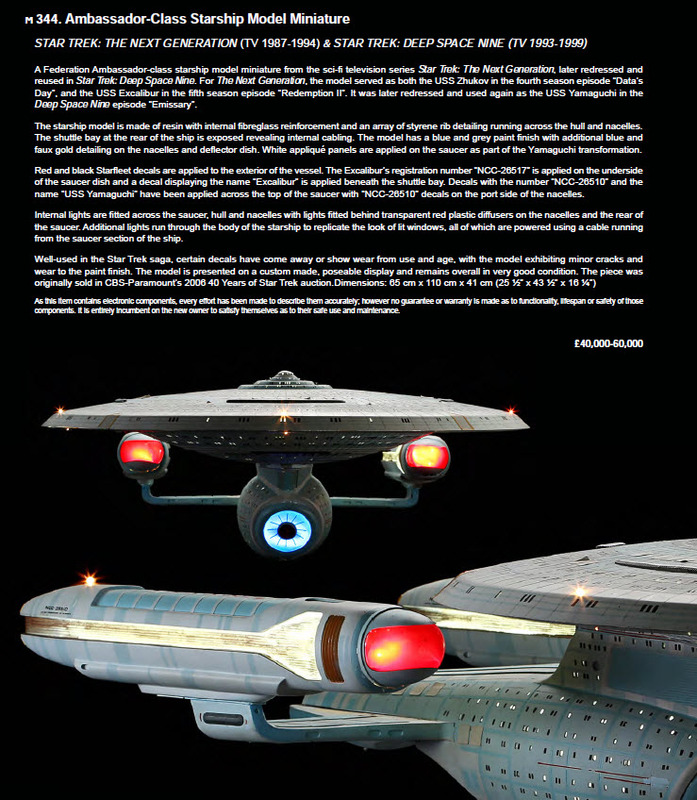 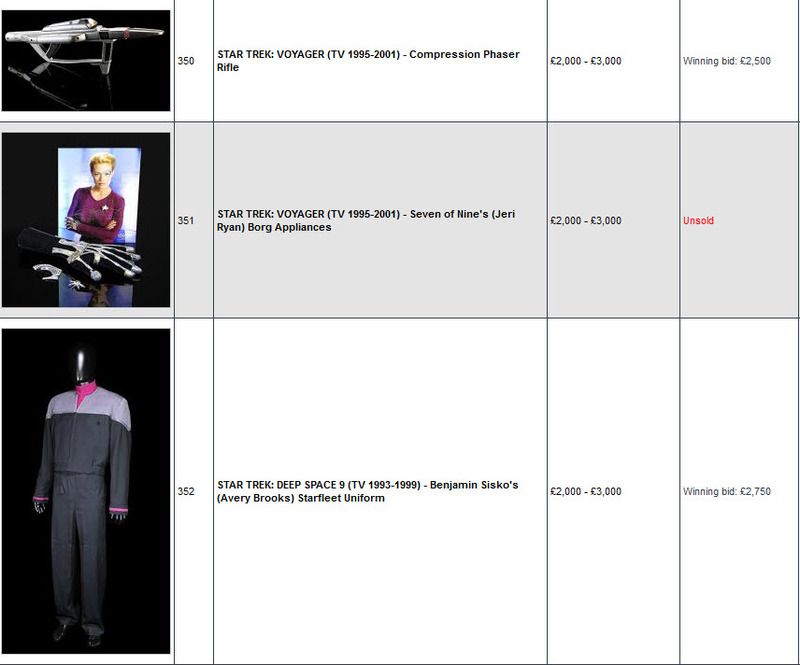 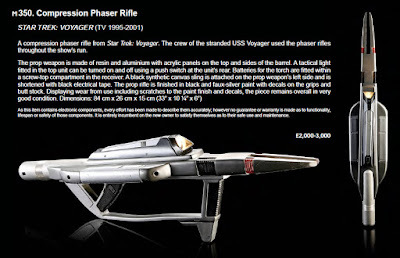 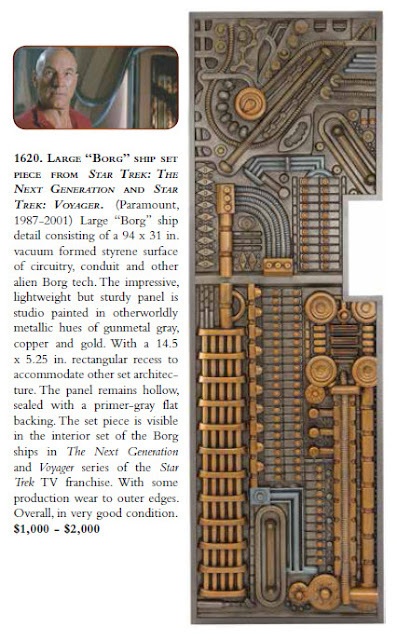 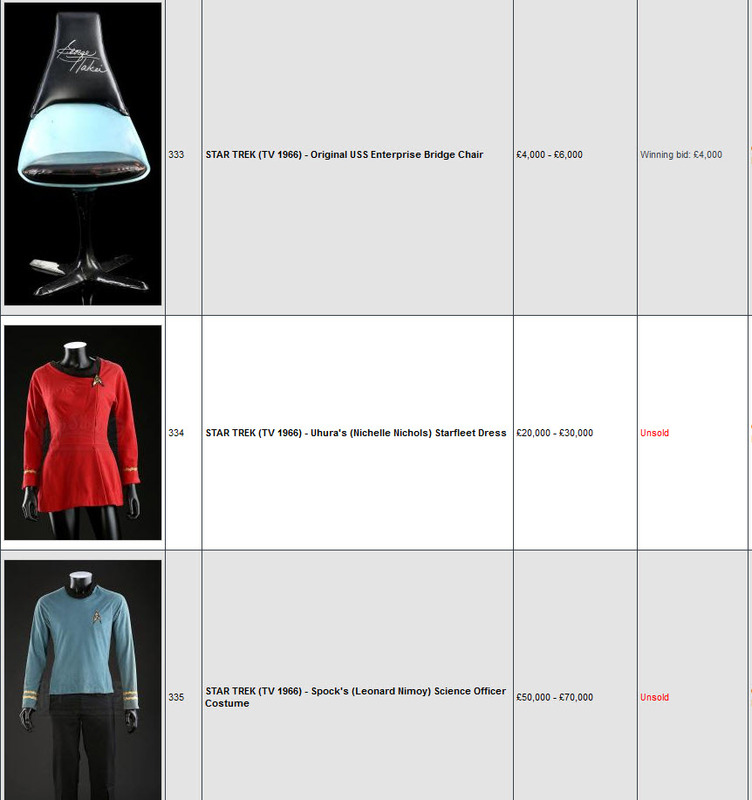 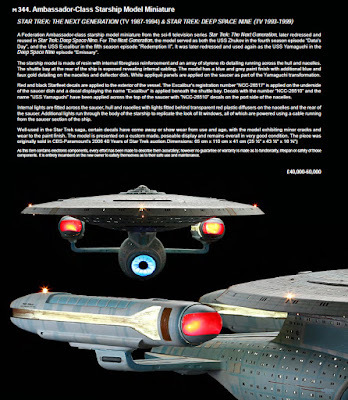 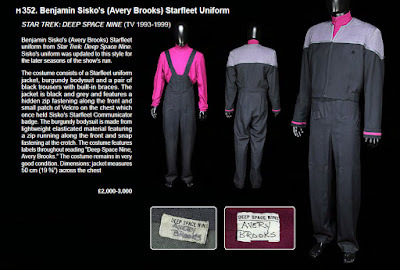 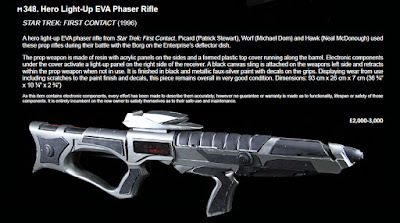 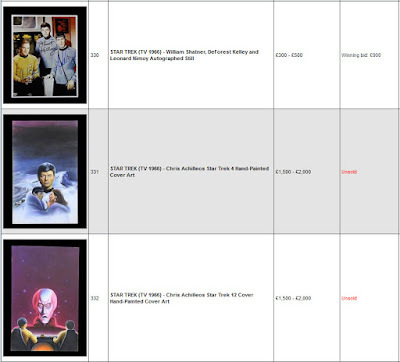 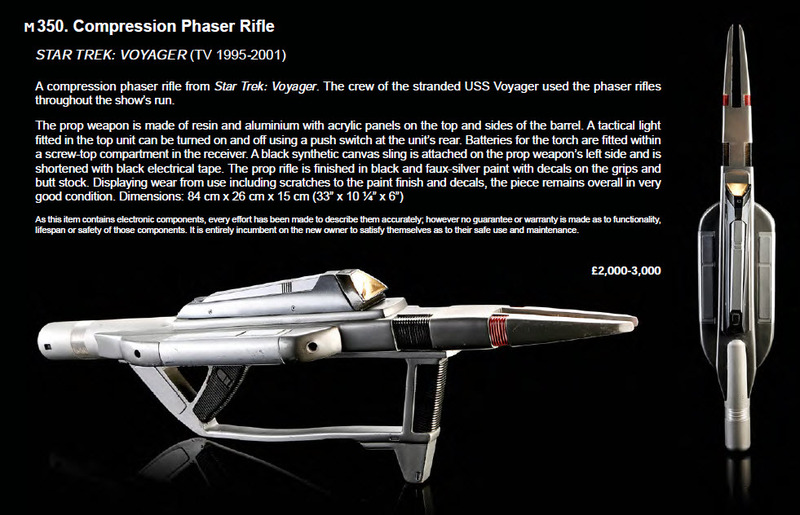 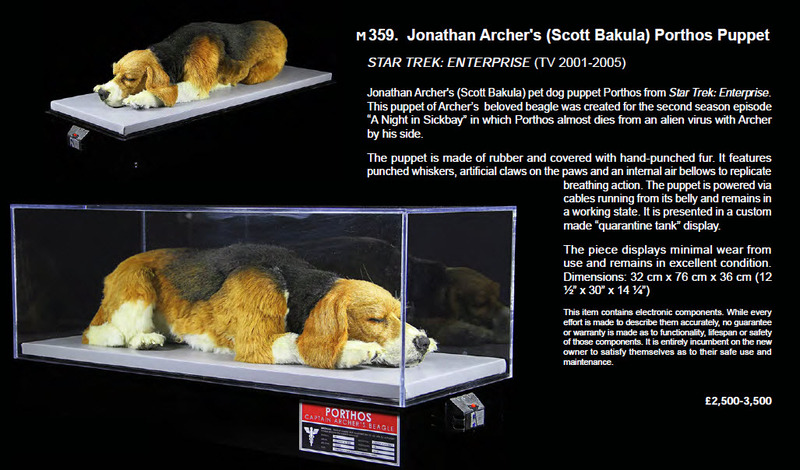 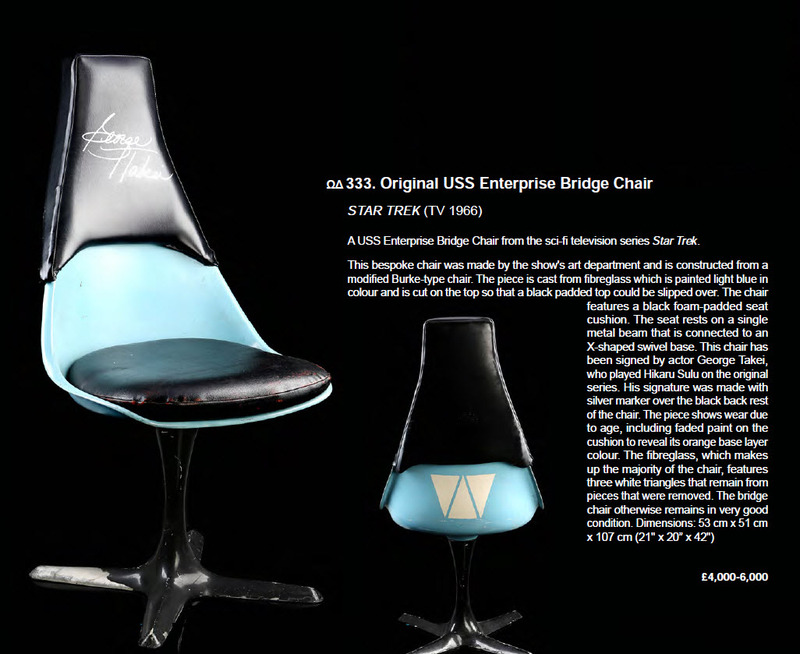 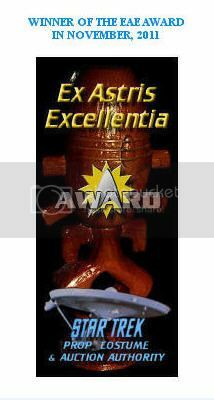 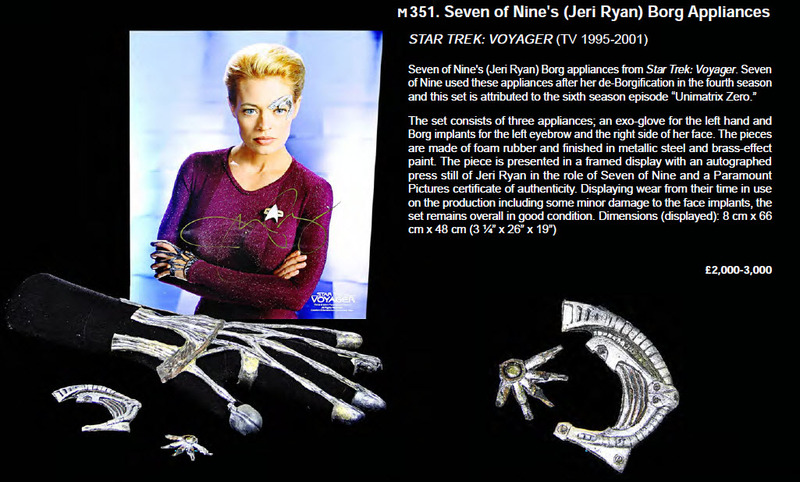 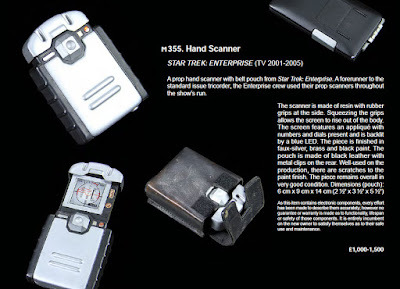 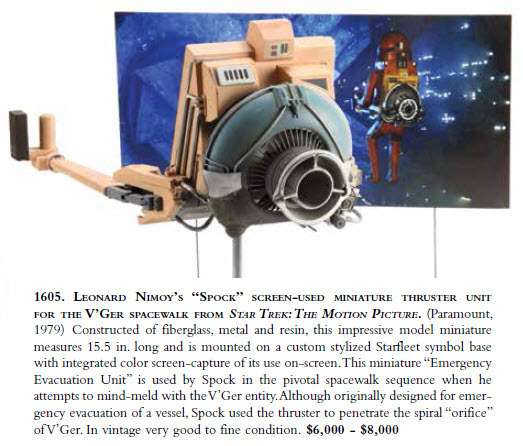 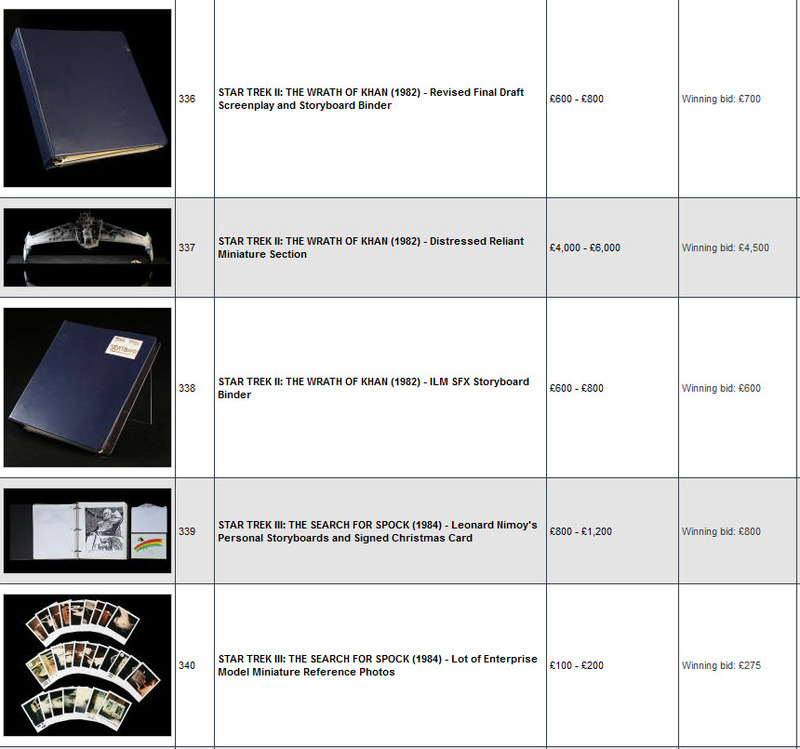 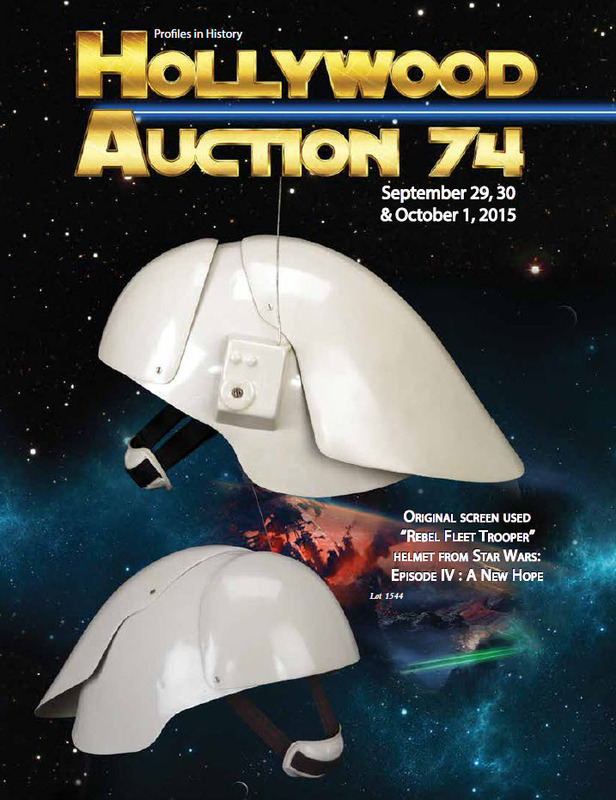 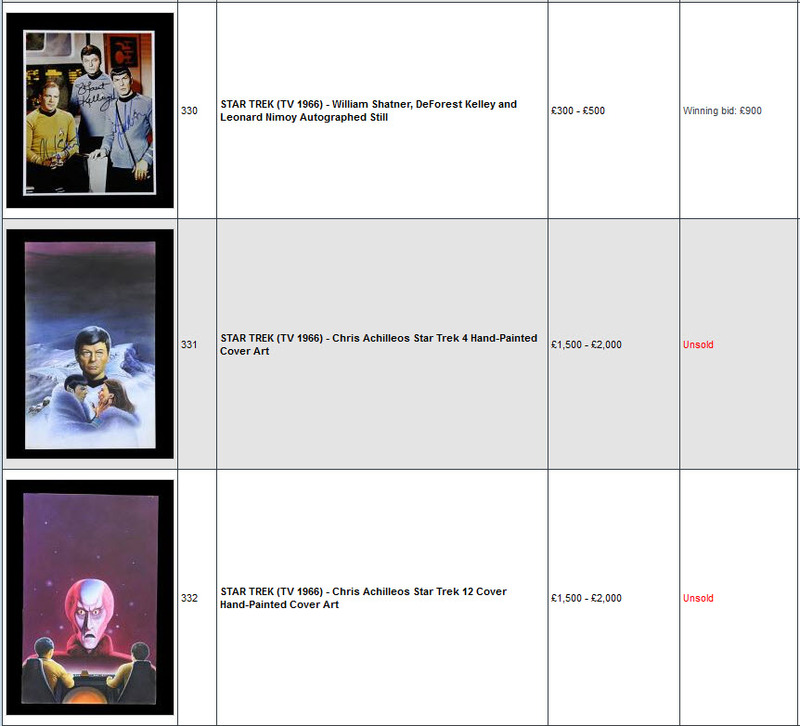 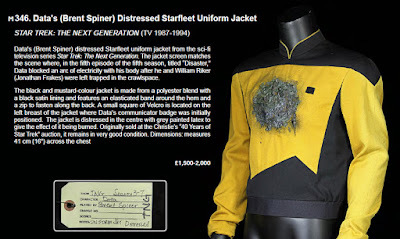 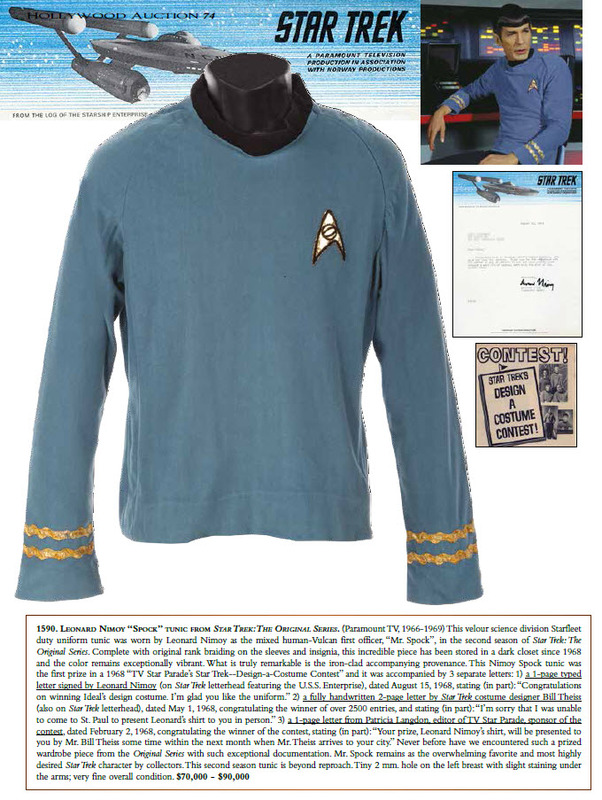 The highest price witnessed for a Star Trek item in the sale was £37,500 (approx. 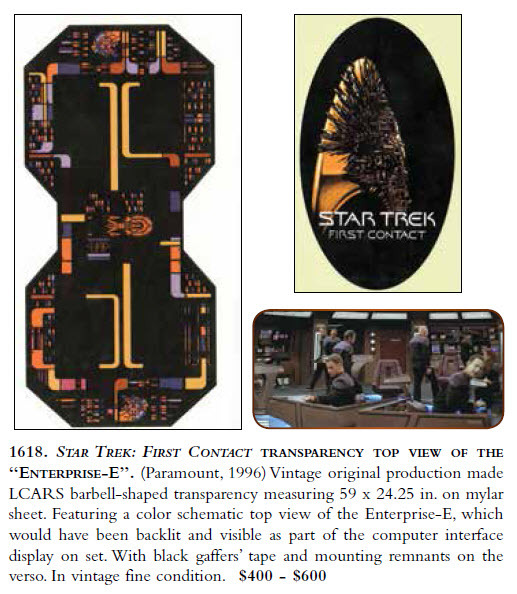 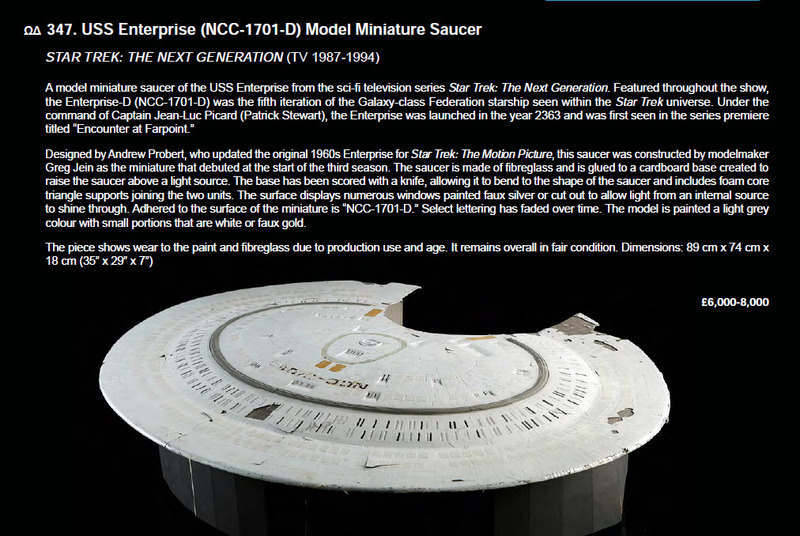 US$ 57,375) for the Ambassador Class Starship filming miniature which served as the Enterprise C in the Star Trek: TNG episode "Yesterday's Enterprise". 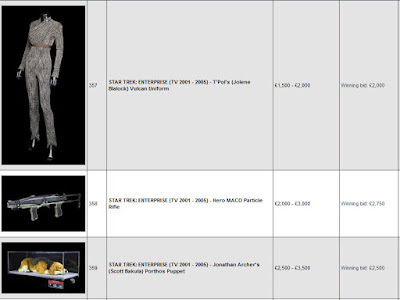 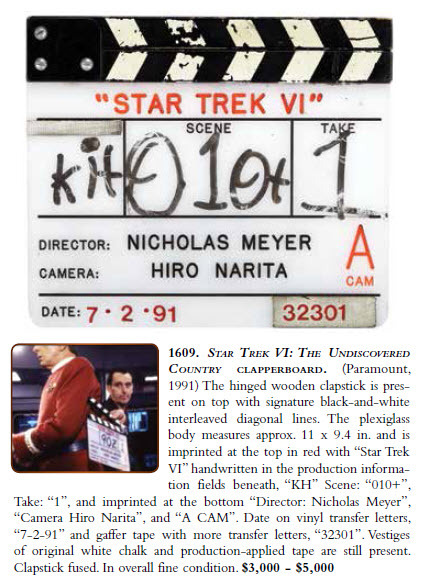 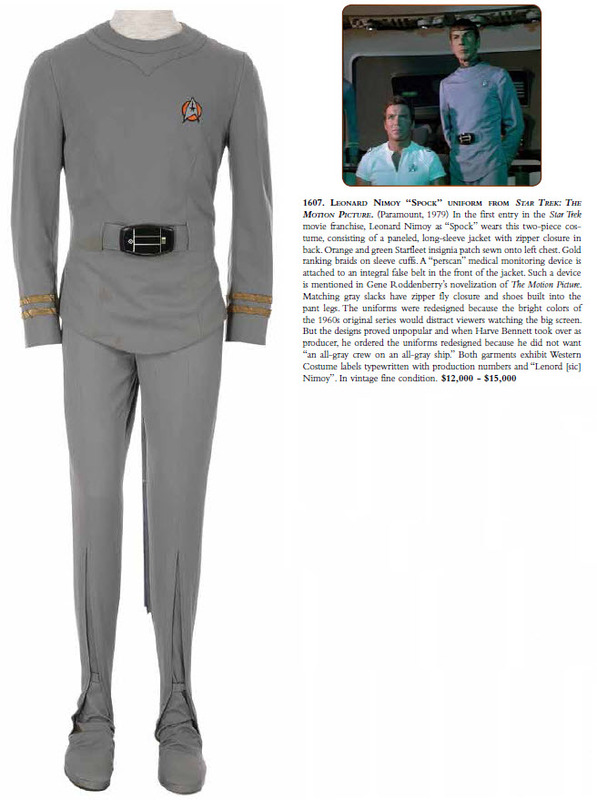 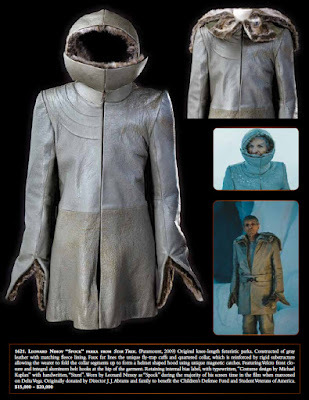 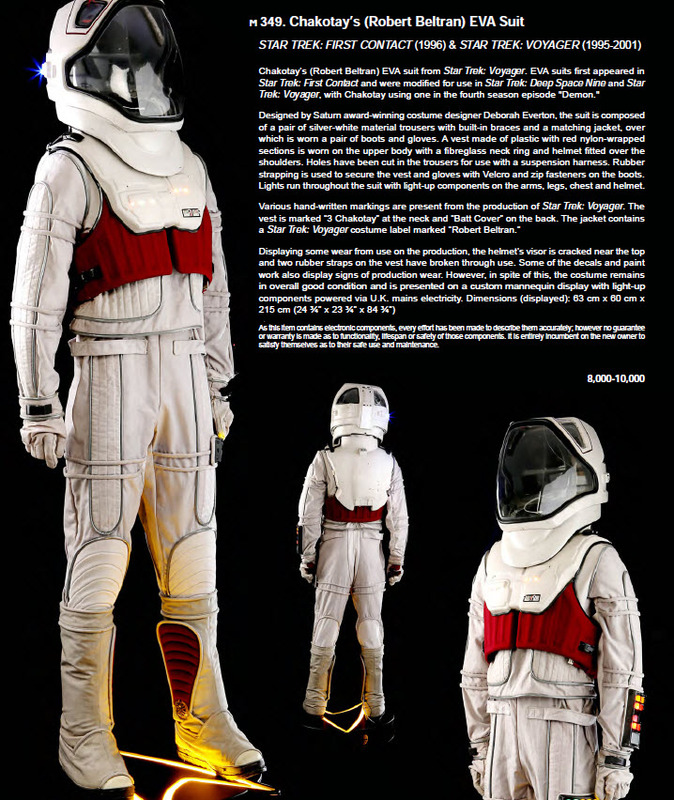 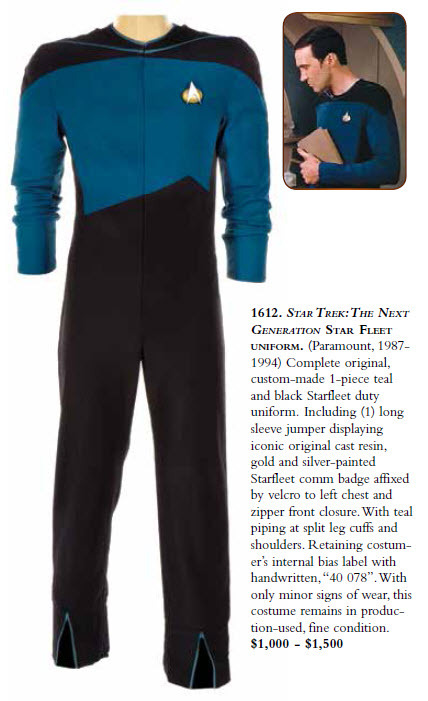 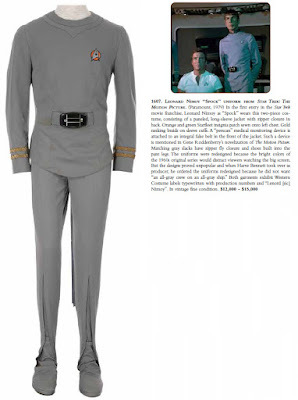 Other highlights of the auction included the Star Trek: Voyager Chakotay EVA Suit which was also seen in ST: First Contact and which witnessed a high bid of £8,000 (approx. 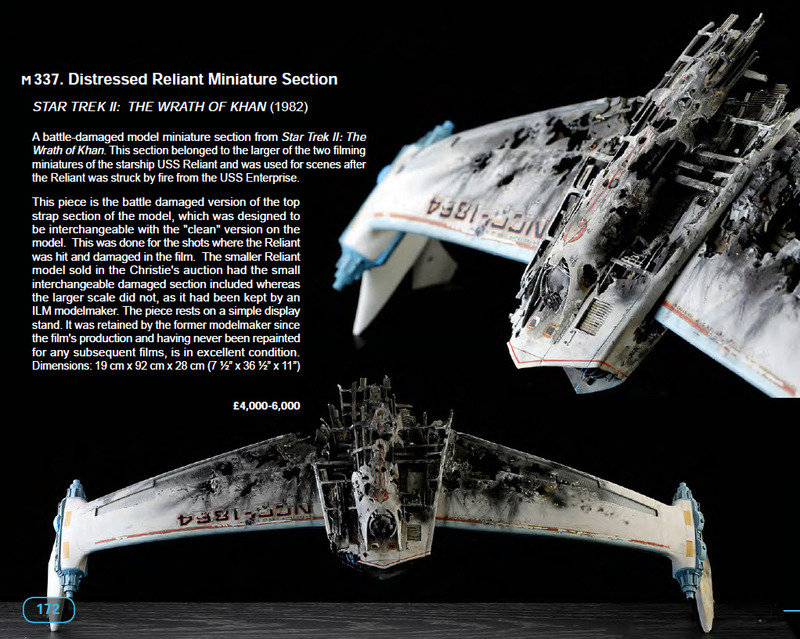 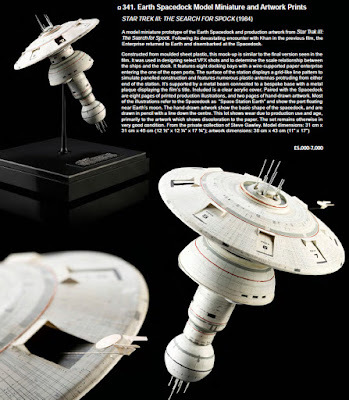 US$ 12,240); as well as the prototype Earth Spacedock model miniature from Star Trek: The Search for Spock which sold for a hammer price of £5,000 (approx. US$ 7,650). 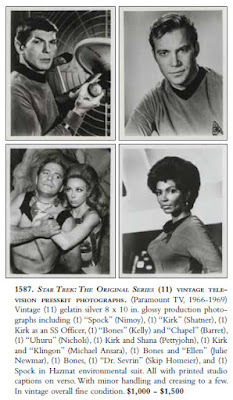 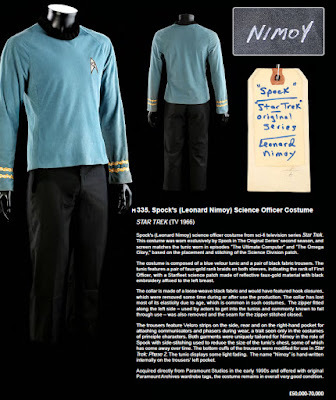 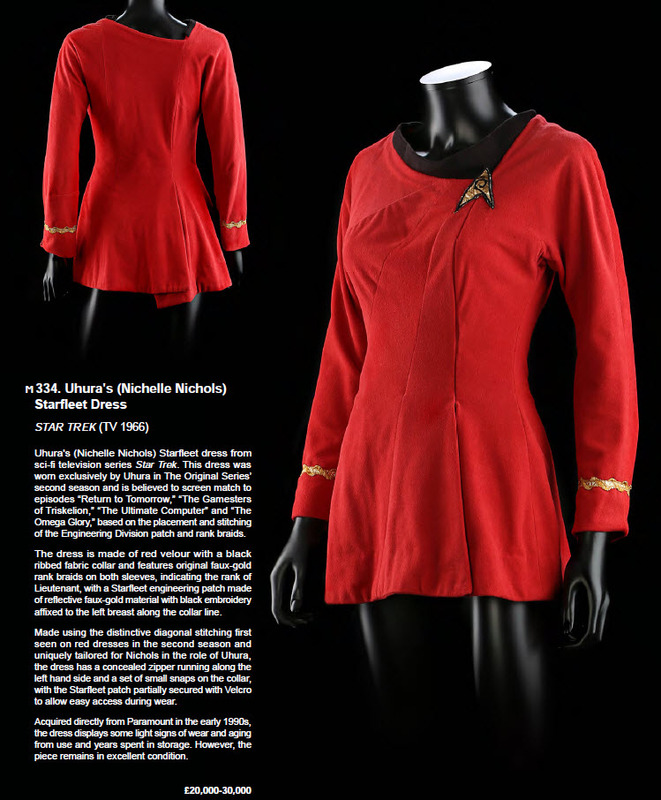 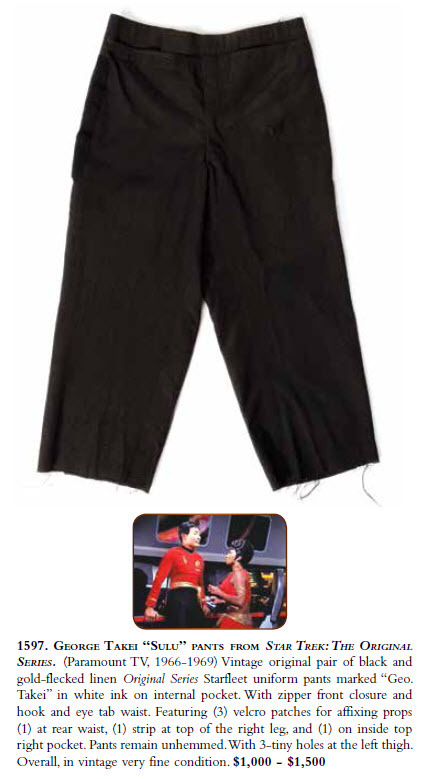 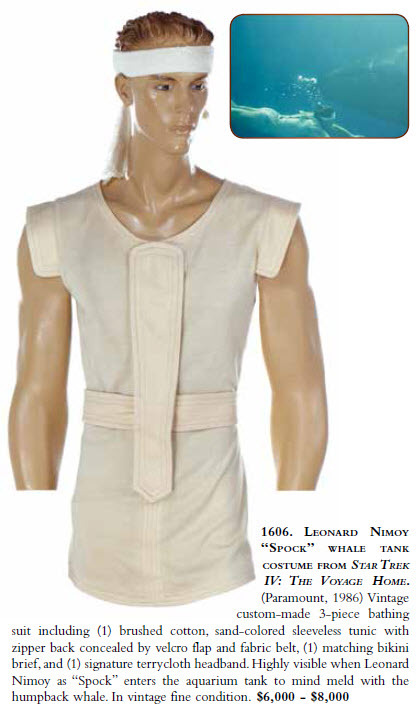 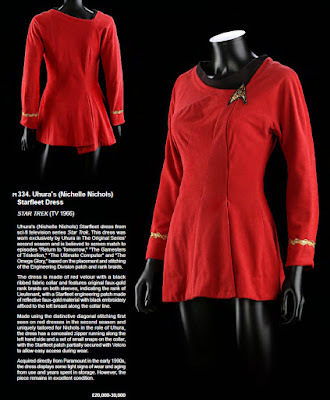 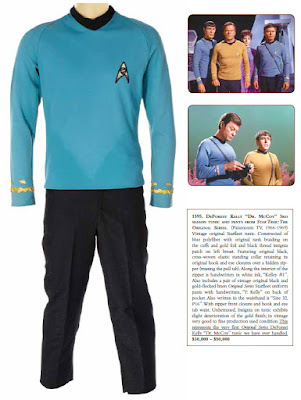 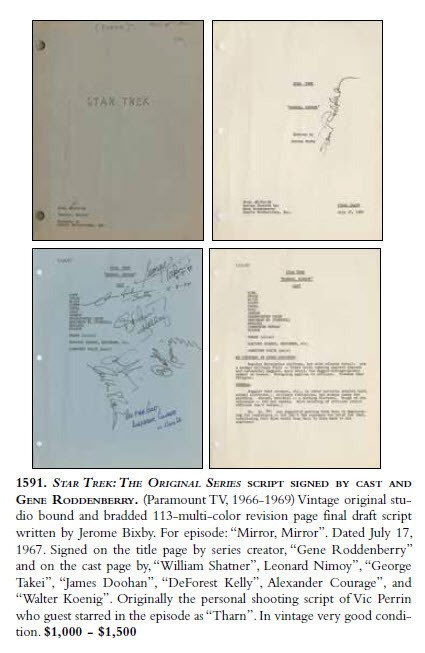 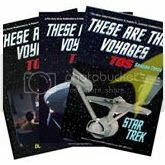 Both the Original Series Spock uniform and the Original Series Uhura uniform did not sell.